This article is 1932 days old. 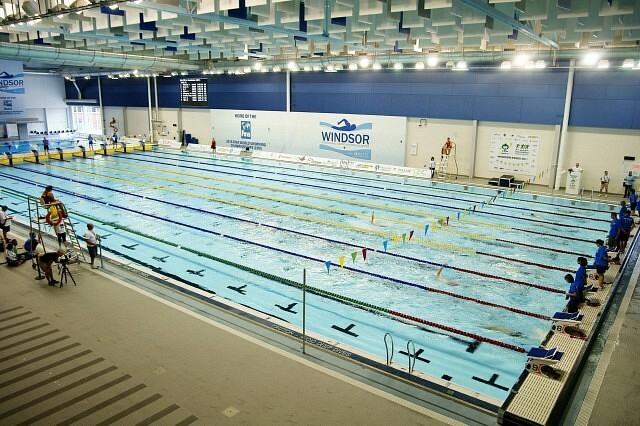 Starting this weekend, Windsorites will get their first chance to take a swim in the new downtown Windsor pool. Even though Adventure Bay water park has pushed back their opening until later this month, the Windsor International Aquatic and Training Centre is set to open with a full slate of scheduled programming. Public swims take place this Saturday and Sunday from 1:30pm to 3pm. Children 2 years old and under are free, children and youth are $2, adults and seniors are $4 and family swims run at $11.25.